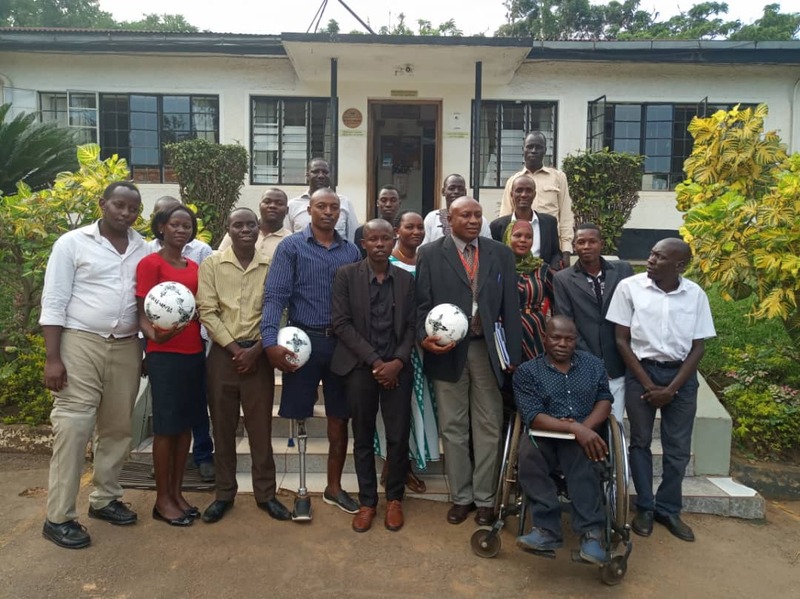 KAMPALA – The federation of Uganda Amputee Football Association launched 2019 plans on Wednesday evening. This was at a ceremony held at Makererere University Guest House following a two year series of successful activities. The federation is a national body that governs football for amputated people with over 11 clubs which include Lira, Kawempe, Kampala, Isingiro, Simba from Uganda people defense forces(UPDF) among others. Among the plans for 2019, the Federations intends to participate in regional dialogue in Kigali, Rwanda this February. They will also take part in both the CECAFA (in June) and AFCON (September) tournaments. “Last year was an incredible one, full of many activities and we took part in numerous games in various parts of the country like Mbarara, Isingiro, Mubende, Malengo Charity soccer for inclusiveness and many more” .Said Kitimbo Lawrence President of the Association. He delightful encouraged the members to gear up and work together towards the common goals of the federation and also prepare for the CECAFA and AFCON tournaments as the board promotes the Sport in the various campaigns we are in. “Football is the most watched game all over the world and has a lot of impact to our local communities. Said Mr Masaba, the Commissioner for Disabilities at the Ministry of Gender Labour and Social development. “From the grassroots and to the association plus players, let us create awareness to indemnify the fact the persons with disabilities are very able like the rest. He further added that sports are competitive and urged members to emulate that in all other aspects of their lives.